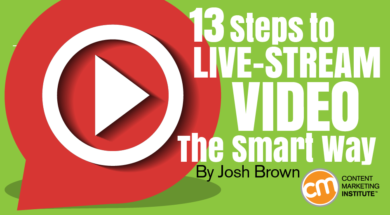 Live-stream video combines some of the most tried-and-true methods of engaging with your audience with innovative opportunities to engage a step further. But there’s more to building engagement than what happens during the broadcasting. There’s a lot you can do before, during, and after you go live to squeeze as much value as you can out of every live video. From understanding your purpose to measuring your ROI — and everything in between — you have to address many factors for live video to make sense and work for your brand. Let’s take a look at 13 areas in four parts (before, during, after, and measurement). It’s vital that you have a purpose for going live. Do you want to grow your audience? Increase your mailing list? Generate leads? Improve sales? Going live without knowing why is a recipe for disaster. Your broadcast will likely be clunky and disjointed, which can do more harm than good to your brand. Even if you get lucky and have a successful broadcast, you’ll have no true understanding of why it went well — and you won’t be able to replicate the results. 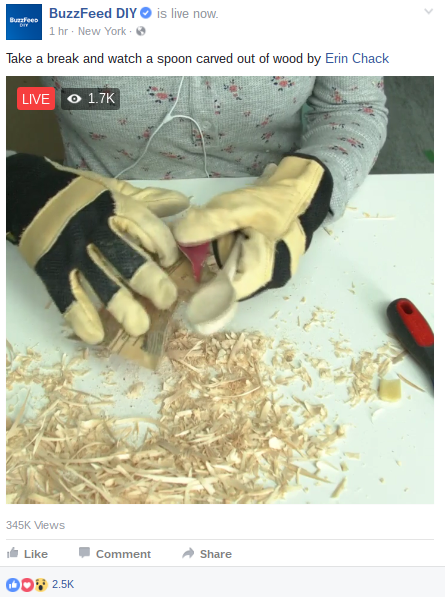 BuzzFeed DIY’s channel is always showing viewers how to do something different. Your purpose will dictate the type of live session you produce. For example, if your goal is to generate leads, a product reveal or how-to instructional video would be most effective, as you would introduce a new product or explain how your product will benefit the viewers. By defining the type of broadcast for your audience, you give them a good idea of what to expect and make it much more likely that they’ll get maximum value out of your live session. Facebook Live allows you to quickly and easily reach out to your followers at the click of a button — without making them download a separate app or program. You receive a number of metrics after broadcasting to help fine-tune your future live sessions. However, because Facebook isn’t solely a video-streaming app, you have to compete with distractions that pop up on your audience members’ feeds — your broadcast runs the risk of getting lost among a sea of cat videos and memes. On the other hand, Periscope is devoted to live broadcasts, making it easy for your followers to find and attend your live session. However, for many businesses, their following on Facebook exceeds their presence on Periscope & Twitter. 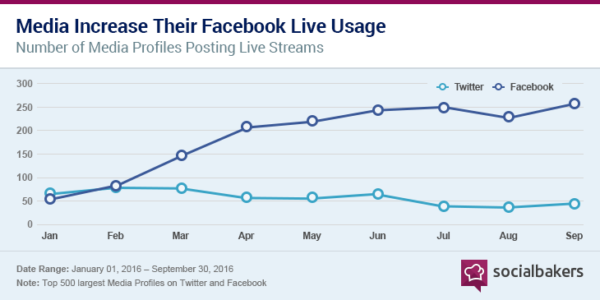 Even when this isn’t the case, because Facebook has a much larger user base the potential for growth is greater on Facebook than on Periscope. Though you could use a variety of live-broadcast platforms to stream, doing so could lead you to spread yourself too thin. More importantly, some members of your audience on one platform would almost certainly miss topics discussed in broadcasts on another platform. TIP: Figure out an optimum time for going live. Depending on the reach of your brand, you might have to consider time zones, typical work schedules, and other factors that could inhibit a large chunk of your audience base from catching your broadcast. Any content marketer worth her salt knows how important a good call to action is for every piece of content. You should know what you’re going to ask your audience to do before you begin your broadcast. The call to action at the end (or during) your live broadcast should ultimately connect with your purpose for going live. If your aim is to widen its reach, ask your viewers to share the video. If you want to increase your mailing list, include a link to your landing page in the broadcast’s caption. If you showcase a new product, provide numerous opportunities and options for viewers to purchase your goods. Vidyard suggests displaying pre- and post-event forms to increase engagement and generate new leads. Also consider platform-specific actions your viewers can take while watching your broadcast. For example, think of the expanded “reaction” buttons introduced by Facebook in 2016. Though users might click the “like” button out of habit, you might gain more insight if you say, “Click the ‘like’ button if you really liked the video, or the ‘Love’ button if you loved it.” It might not seem like much, but every bit of insight you can get from your audience matters. We all know that the old adage, “If you build it, they will come,” doesn’t work in content marketing. The stakes are even higher when it comes to broadcasting live. Sure, viewers can watch the replay on your Facebook page or website — but it loses part of its allure because they can’t directly interact with you in real time. You want as many of your fans as possible to know when you’re going live, on what platform, and what they should expect to see. You know why you’re going live. You know what type of live session you want to have. Now you have to put it all together and make it happen. However, because a live broadcast is … well, live … things can happen, both good and bad. You need to be prepared for unexpected events and be able to navigate them effectively to maximize the chances that your audience will stick with you until the end. Live broadcasts also can lead to a good reason to go off-script. For example, if someone asks an insightful question or brings up an important point relevant to the topic at hand, by all means dive in — especially if other audience members are on board with shifting gears. 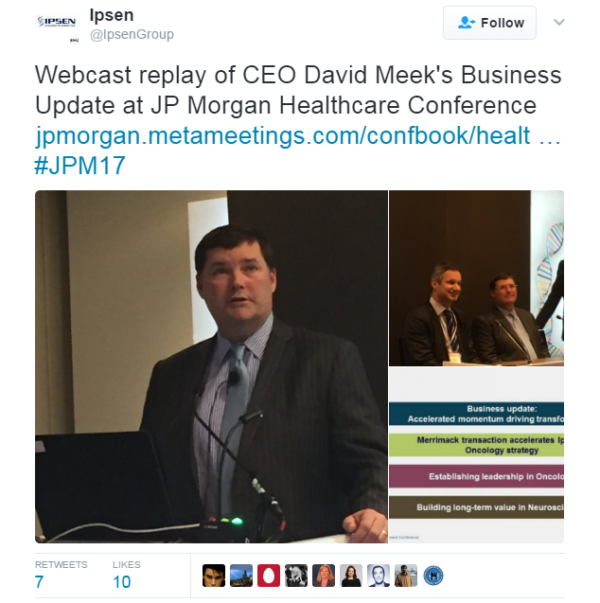 Having the ability to generate discussion in real time is one of the major benefits of going live. If you aren’t actively trying to take advantage of these opportunities, you might as well have gone with a recorded video in the first place. TIP: Don’t be long-winded. If you can tell that a question or comment is going to elicit a long discussion, make a note of it and save it for another video. Pack as much value as you can into as little time as possible to ensure that your audience hangs on every last word. I mentioned this in the last section, but it bears repeating: The point of broadcasting live is to communicate with your audience in real time. How frequently an audience engages in these tactics during a live broadcast. No matter what format you’re using for your broadcast, there will be moments when you can take questions from your audience members — or even ask them questions. 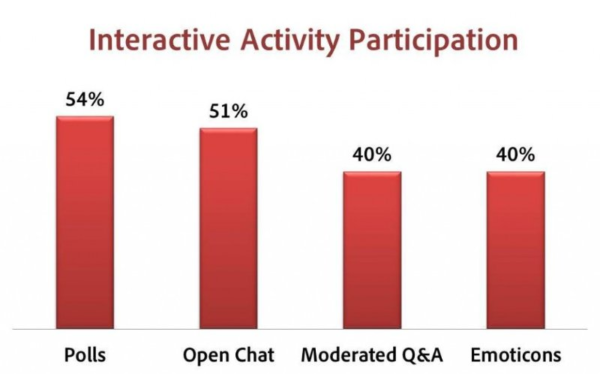 Obviously, a Q&A session will almost exclusively be driven by interactive communication. When introducing a new product or explaining a service, you could take questions from your viewers, which will help you gauge their understanding. Your answers can help transform confused prospects into confident buyers. Ask for questions or comments to break up the broadcast and reduce the chances of your viewers getting bored or losing interest. As you wrap up — and before you provide a killer call to action — ask questions to see if anything needs clarification. If you don’t have time to answer during the live session, let your viewers know when and how you will answer them (e.g., in a blog post, new video, or email). Once you gather an audience, you want to make sure they stick with you through the broadcast. One of the most effective ways is to make viewers aware of a pain point you gradually ease throughout the broadcast. Don’t tease your audience with “more info later in the broadcast” like the evening news does. Doing so sends the message that the only important part of the broadcast is at the end — and viewers likely won’t care enough to stick around, no matter how valuable the final lesson might be. Provide important information throughout the broadcast. You can do it sequentially, such as with a how-to video, or comprehensively, such as showcasing multiple functions of the product that culminate in a single overarching solution. Even though your live broadcast is over, there’s no need to let it fade into the past. Post the video to your blog, social media pages, and website. Though it obviously won’t have the same real-time feel as when you were live, fans who missed it will have the opportunity to check it out at their leisure. In addition to posting the recording wherever possible, promote it through the usual channels, too. This way, customers who may not use the platform where the video lives will be less likely to miss out on your awesome content. TIP: If you want to create a sense of urgency (fear of missing out) to increase the likelihood of people attending the live event, you can choose not to make a replay viewable. 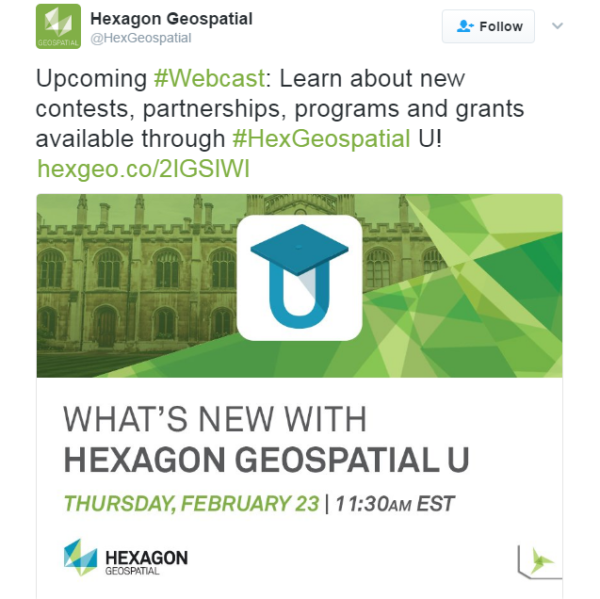 Just make sure to promote that one-time-only aspect before the live video. You can then improve these specific areas when preparing your next broadcast. Furthermore, take a look at how your audience reacted to your video: At what point did it have the most viewers? How often did viewers leave your broadcast? Was there a specific moment in which viewers chimed in with insightful commentary? You also can use the insight from your post-video evaluation in discussions, not just in your next live session, but in your other content as well. While going live might be a new and exciting way to create content, it’s not worth the effort if it doesn’t have a positive impact on your business. The Funky Fairy’s live-stream campaign created such a boom that the CEO was able to expand her team. But how, exactly, can you figure out if a live broadcast has made such a difference? Well, it depends. Sometimes, it can be pretty straightforward. Other situations might require you to do a little detective work. These metrics won’t necessarily provide direct proof of how live video affects ROI, but when thinking of the big picture, you’ll be able to see overall audience engagement with your brand — and begin to draw conclusions from there. For more concrete evidence of how a live broadcast affects your ROI, you’ll want to track what your audience does after it leaves your stream. By providing links to your company’s website wherever possible and appropriate in the live video — overlays, captions, or pinned messages in the comment section — you can look at your site traffic to see how many people came to your site directly through your broadcast. If you prompt viewers to sign up for your mailing list, you can track conversions. If you are using live video to sell a product, here’s where you’ll be able to tell without a shadow of a doubt how going live affected your ROI. You can use the promoted links to track viewers who purchased your products directly after viewing your video. You might also offer an exclusive discount code for viewers and track its use in your e-commerce checkout. TIP: Consider where you place your links or codes to help you understand engagement better. For example, if you offer a unique discount code at the end of the broadcast, you can safely assume those people who redeemed it watched the entire video. You can compare those who watch and buy to those who watch until the end but don’t purchase. Live-streaming is quickly becoming the new “it” thing for content marketers. And rightly so. Not only does broadcasting live provide an exciting way to showcase your company’s products, services, and abilities, but it also allows you to authentically connect with your audience in real time. In doing so, you create numerous opportunities for your business in terms of reaching new prospects, engaging current customers, and discovering more effective ways of moving them through the sales funnel. We don’t believe in content marketing fads. We write about how to engage in new platforms, formats, and tactics when it makes sense for your brand. If that’s how you roll, subscribe to the CMI daily newsletter or weekly digest. Josh Brown is the Content & Community Manager at Fieldboom. Create beautiful forms and surveys in less than five minutes with Fieldboom. Try it free. Follow Josh on Twitter.